So, I'm back with a tutorial for you this week, and in true OLM form, it's SO easy. I feel awkward even calling this a tutorial, but it is what it is! A few weeks back, I posted an outfit on Instagram with cut off jean shorts and several people asked how I made mine. So here it is. Okay, so I'm a Mormon, and most of us wear shorts to the knee. I always have and always will. But depending on the year, knee-length shorts can be hard to find. There are a lot of cute ones at Old Navy right now, but it is so much cheaper to cut off thrifted denim than to buy 4 or 5 pairs of shorts. The shorts that I used as a pattern are from Old Navy, and I chose them because I know that they are long enough for me. 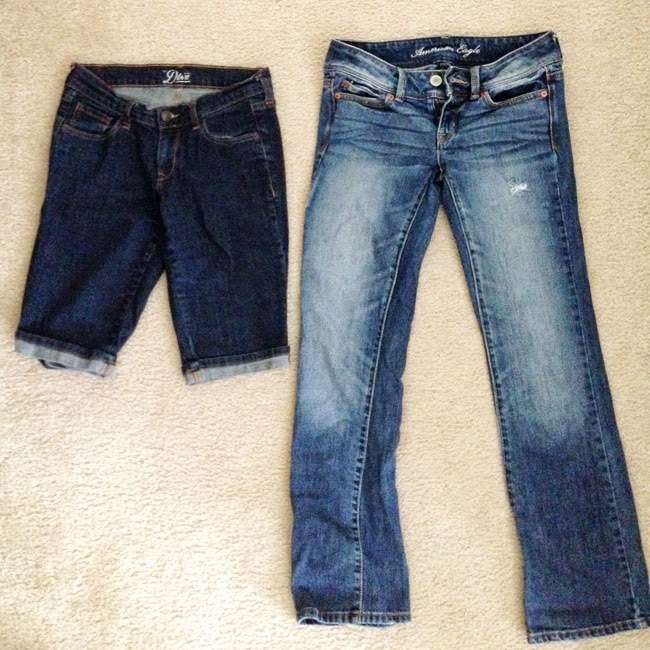 The pants I used are from Saver's and were bootcut, but fit slim all the way down to the knee. To turn these pants into shorts, I lined the shorts up over the pants and used their hem as a guide. Then I cut the pant leg straight across about an inch longer than my shorts. This left me plenty of room to play with after I tried on the newly cropped pants. I tried on the pants and played with cuffing the hem using the extra length. For these pants, I opted to just cut a raw edge a the right length with no cuff. The name of the game with making cut offs is trimming a little and trying them on again. I ended up cutting mine three different times. 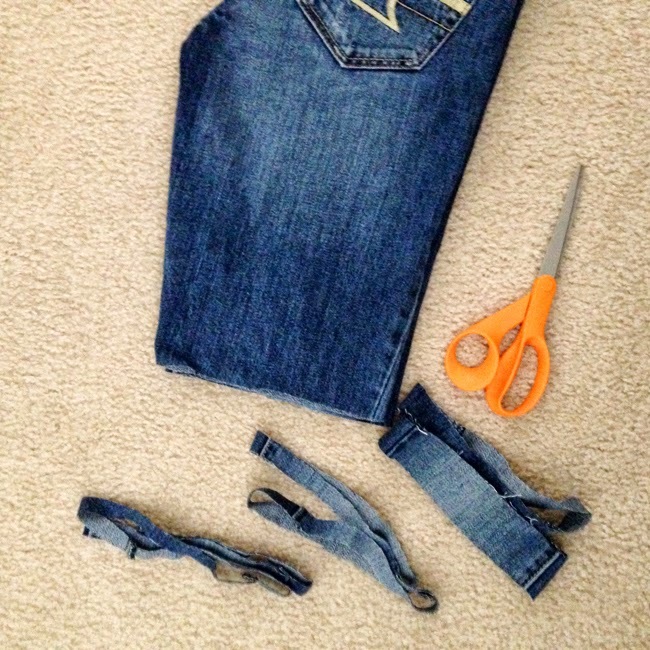 You can always cut more, and depending on the fit of the jeans, you may decide to trim more or less for each different pair. For the final trim, you can also cut the leg at a slight angle, making them longer in the back because your bum will shorten the back a little more than the front. After the final cut, I threw my new shorts in the washer and the dryer to rough up the hem. You can also use your fingernail or a razor blade by pulling along the raw edge. Trim the excess strings, but not all of them - the point is to have a messy look. Run a straight stitch around the edge of your hem using denim colored thread to prevent crazy fraying. Cut the shorts long and cuff them. You can also stitch the cuff in place. 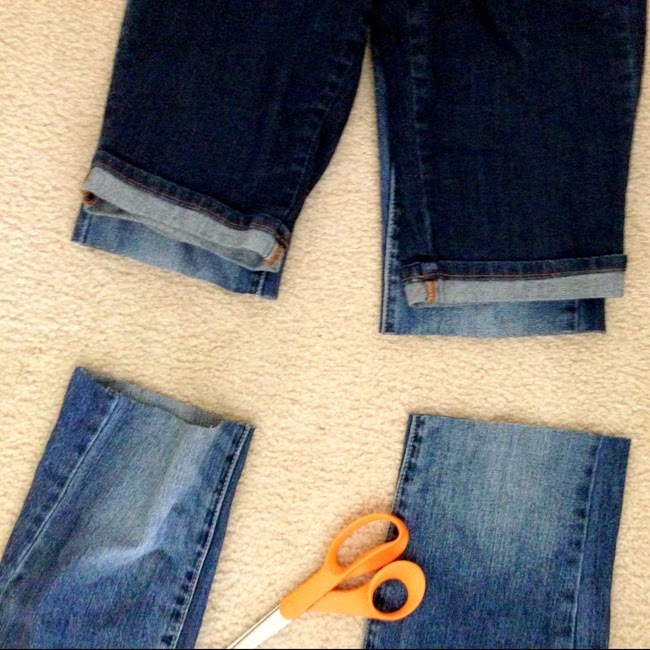 Use looser fitting pants and roll/cuff them hem to create boyfriend shorts. Distress the rest of the shorts using this tutorial. Try cutting off chinos or colored denim. I know I'll be cutting off plenty of more pairs of pants this summer, so be sure to make a pair for yourself! They are the warm weather version of distressed jeans and are perfect for casual chic summer style. What are your cut off tips? I just did this same thing last weekend! I had a pair of thrifted jeans that fit awesome, but had a little too much of a flare at the ankle for my liking. I love the slightly frayed raw edge, it gives them a nice detail. I love this look but not on myself. I like the modesty of long shorts but feel like they make me look even shorter than I am! I may try again with some old jeans. Such a great idea to buy thrifted jeans to turn into shorts! Super cute outfit! Love those leopard slip-ons! Thanks for your very inspiring "how-to" posts, I really enjoy them. 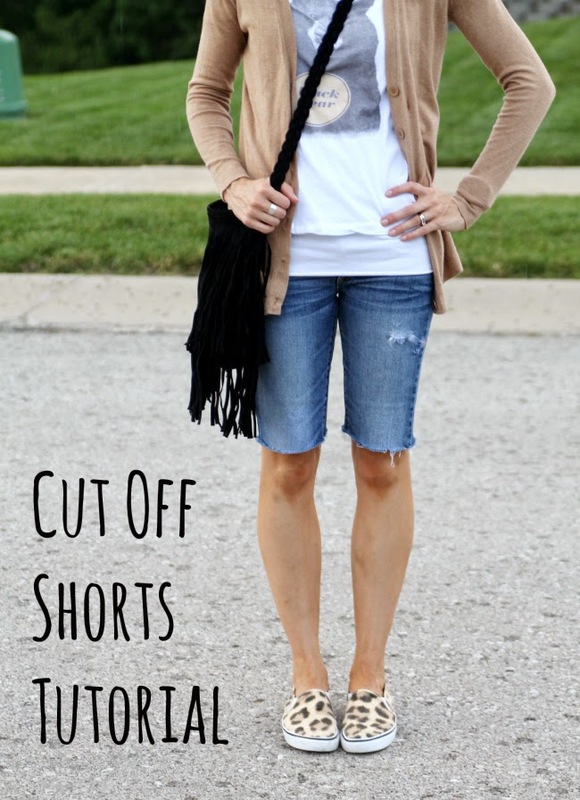 Thank you for posting a modest DIY for cut offs. Not everyone wants their back side hanging out!